The experts explore how 21st-century technology is shaping our future by changing the way we live, the way we communicate and our perception of the universe. Physicist Kathy Sykes explores how our mobile phones can give experts access to our every habit and action: a brave new world in which it’s hard to keep a secret but where urban planners can build cities around our needs. Designer Max Lamb witnesses the dawn of a new era in manufacturing where lasers are printing objects in 3D, and Stephen Hawking charts the rise of the former internet entrepreneur who is transforming space exploration. 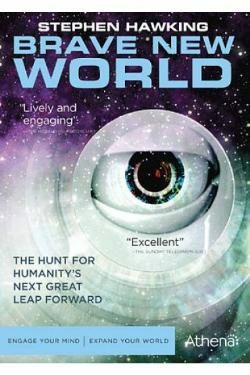 Environmental scientist Tara Shine visits an experimental new city in the desert where the citizens get about by unmanned pod car, and Kathy Sykes descends two kilometres underground to explore how scientists are using technology to study the most mysterious particles in the universe. From spaceship factories in California to one of the world’s largest subterranean laboratories, in northern Canada, this documentary uncovers the technology that is shaping our future. Released 31 October 2011. 47 min. TV documentary series.